“24 Hours, No. 2,” a 2005 installation by Fransje Killaars, will be shown at Museum L-A in Lewiston. Courtesy of Galerie Expeditie, Amsterdam, the Netherlands. A Maine artist examining humanity’s foibles, a German printmaker of the late 19th century and a contemporary Dutch textile installation artist known for her color sense are represented in winter 2013 exhibitions at the Bates College Museum of Art. 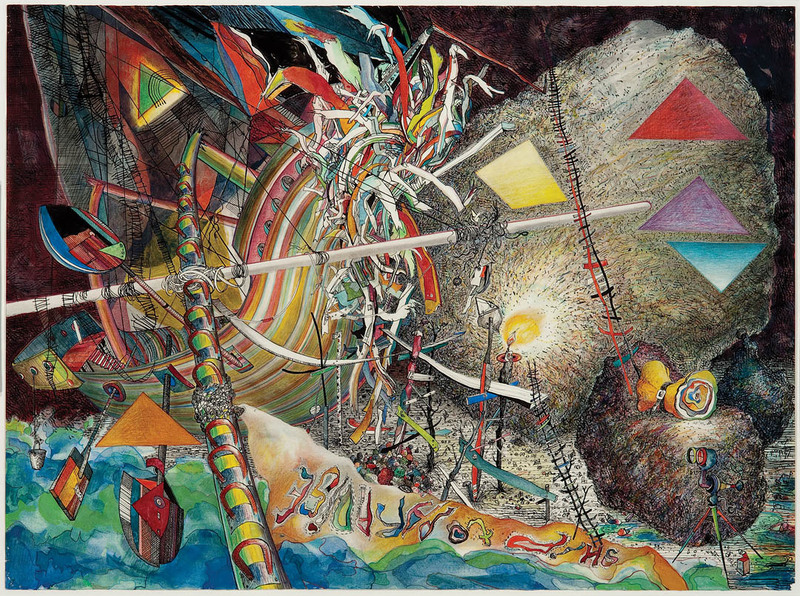 Opening with a lecture and reception at 6 p.m. Friday, Jan. 18, is the exhibition Robert S. Neuman’s “Ship to Paradise,” consisting of depictions by a Mount Desert Island artist of humankind’s vices and worldly conceits. Discussing Neuman’s work is Maine author and art critic Carl Little. “Ship to Paradise — The Wreck” is a 1985 image in mixed media on paper from Robert Neuman’s “Ship to Paradise” series. Also opening that evening is the Intermezzi Portfolio, Opus IV, a series of prints by Max Klinger, a German artist active in the late 19th and early 20th centuries. A reception at 5 p.m. Saturday, Jan. 26, opens Fransje Killaars: Color at the Center. 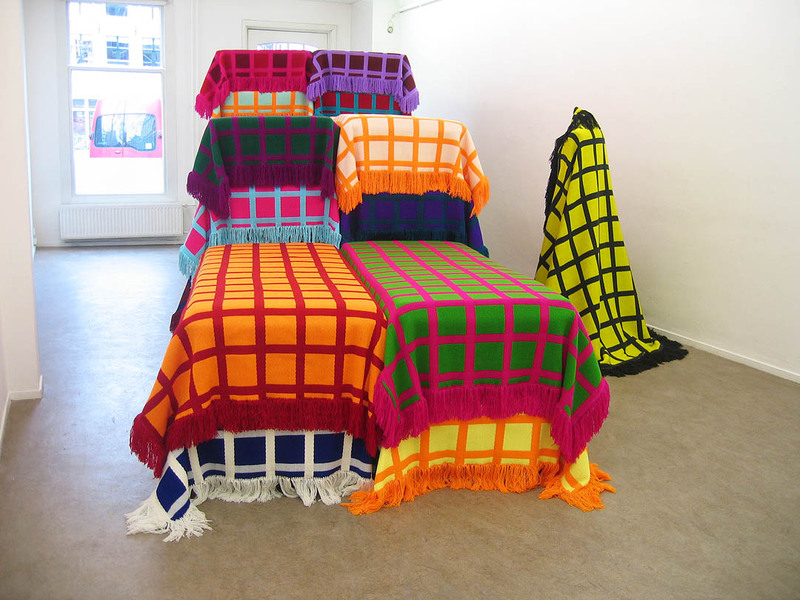 An artist who approaches textiles in provocative ways that are as much cultural as conceptual statements, Killaars will exhibit several installations at the Bates museum and several at Museum L-A, in the former textile mill on Canal Street in Lewiston where Bates-brand bedspreads were woven. The reception takes place in both locations, with a shuttle connecting them. All three exhibitions run through March 22. The museum is located at 75 Russell St. and is open to the public at no cost from 10 a.m. to 5 p.m. Monday through Saturday, and till 7 p.m. Wednesdays during the academic year. For more information, please call 207-786-6158 or visit bates.edu/museum.